"Hard to beat" was the general tenor about the previous album „Code of Conduct“. But with “Wastelands” the band proves that they even easily accomplish to surpass these high expectations in all aspects. All strengths, which constitute Funker Vogt are exploited to the absolute climax. 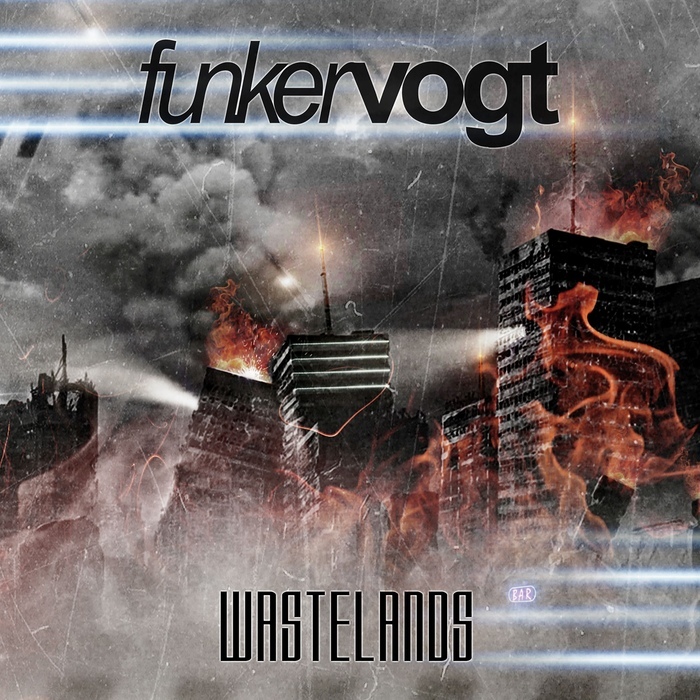 From catchy anthems like "Ikarus", "Wasteland" or "Desperado" through brutal pounding attacks like "Let's go to War" and "Bring the Fight" up to club-hits like "Feel the Pain" and "Thor's Hammer", the album “Wastelands” does not only offer all that makes the heart of a Funker Vogt fan beat faster, it should also be a hard-hitting impulse to the scene. Even with slightly softer tones („Unter dem Radar“) one can easily surprise the listener without losing the thread or neglecting the typical Funker Vogt sound. The unexpected multifaceted nature of Chris L.'s vocal performances add the icing on the cake to the broad acoustic ranges of the production.